The Iditarod Trail Committee on Sunday announced changes to how it will transport sled dogs after a dropped dog died on a flight to Anchorage Friday night. 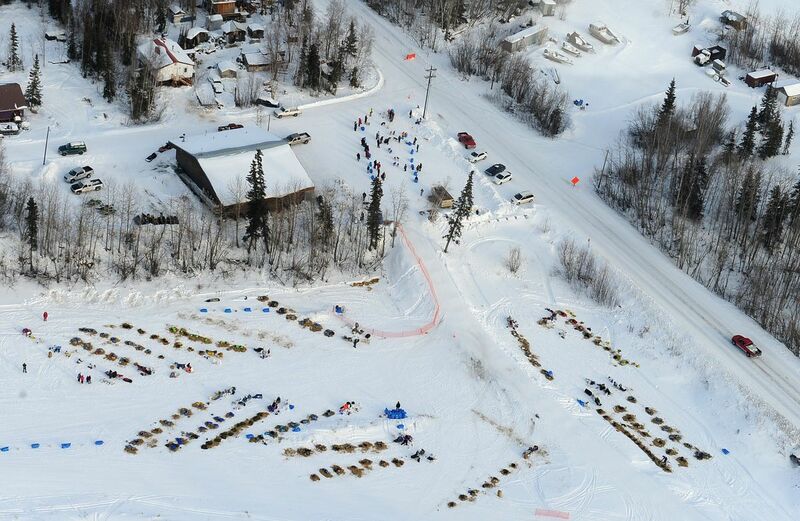 Dropped dogs will no longer be transported in their dog coats, Iditarod Race Marshal Mark Nordman said in a statement, and the committee will ensure that flights during the remainder of the race "provide for cool cabin temperatures and increased ventilation." The changes come two days after veteran musher Scott Smith's 2-year-old dog Smoke died of possible hyperthermia, or overheating, while being flown from Galena to Anchorage. "We hadn't anticipated that dogs could overheat while in transport at altitude and in winter conditions," Nordman said in Sunday's statement. "Unfortunately, we've now learned that they can." There were 74 other dogs aboard a cargo plane with Smoke. Two other dogs displayed symptoms of hyperthermia, the Iditarod Trail Committee said in an email. They were observed and released from "the pet (emergency room)" on Saturday, the committee said. It wasn't immediately clear what kind of aircraft the dogs were traveling aboard. Smoke was the second dog to die in this year's Iditarod. Deacon, a 2-year-old dog on musher Seth Barnes' team, died on the trail Thursday outside Galena. The gross necropsy performed on Deacon found that "abnormalities were present," according to another news release Sunday, "but the underlying cause of death was not determined. Further tests are being conducted to complete the necropsy study."